We love inspiring women at The What I See Project. 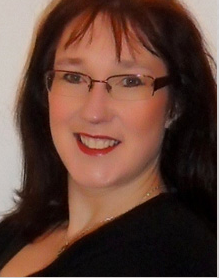 So we chatted to multitalented Irish author, mum and publishing consultant, Vanessa O’Loughlin. 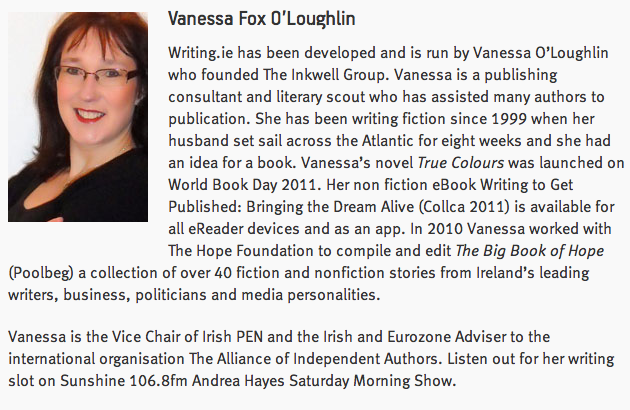 The Vice-Chair of Irish PEN, she’s also the founder of The Inkwell Group AND the leading writing advice website writing.ie. Phew! Here, she tells us her story. How does being a woman influence your writing? I’m interested in what makes people tick, in motivation, and cause and effect, and in the influence that has on [the] individual’s interaction with others. I hope being a woman makes me sensitive to reading situations and able to read deeper than the image that people aim to project. I’m always looking for the hidden story and what goes on behind closed doors. As a writer, I write crime and romance – very different genres, but linked by emotion and the consequences! Have you always felt confident in yourself as a writer? How did you surmount the challenges that you faced? No! When I first started writing, I thought I knew what I was doing, but I gradually realised that I had a LOT to learn. I was lucky enough to work with a great editor, Treasa Cody, at Town House Publishers in Dublin, and as a result had several critiques done on the book I was working on. I realised really fast that, while I was great at English in school, I had a lot to learn in fiction writing. Treasa had been very influential on Julie Parson’s career (a Dublin-based crime writer) and when I found out that she was doing a workshop down in Dingle, Co. Kerry, I knew I had to go (I had a small baby and a four year old, so had to fly my parents in from the UK, leave copious lists & a full freezer)! That workshop was a total changing point in my life – I realised that I could write, but that I had loads to learn. I had a problem [though]: I wanted to do more workshops, but my husband was a member of An Garda Siochana (the Irish police) so getting away in the evenings, with his shift work, was very difficult. As a result, I decided to start running my own workshops – one-day workshops with bestselling authors. They were the first in Ireland and quickly became an international brand. 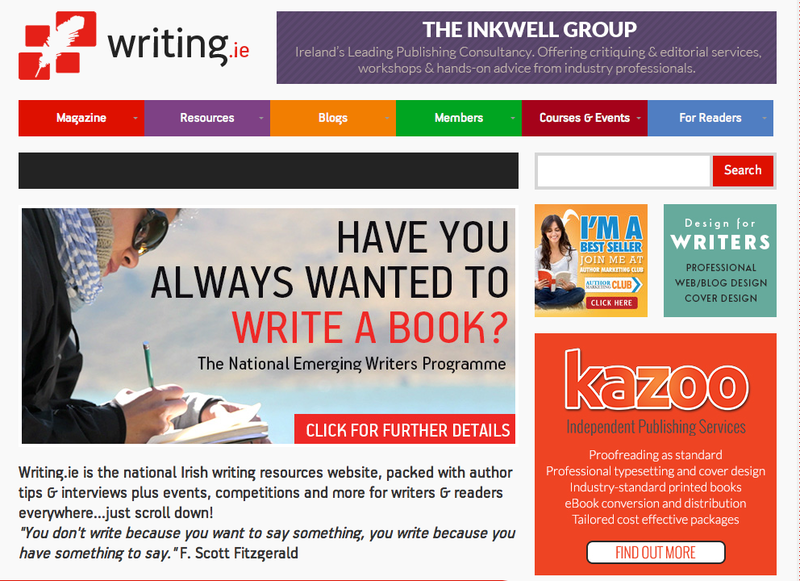 From Inkwell, the Irish national writing resources website writing.ie grew - and from there writerswebtv.com, a project I’m passionately involved in, launches on 28th September – bringing workshops with best selling authors live on the web into aspiring writer’s homes – for free. Oh gosh, a hot sunny day, a glass of Pimms and the company of close friends. Also though, achieving goals, which is much more boring. I set private goals at the start of each year and punch the air when they are achieved! Just keep writing. Best advice ever from best selling author (and now friend) Sarah Webb over lunch way back when. I avoid mirrors! In my head, I’m still 23 and a size 10. Thanks to Vanessa for sharing her story. If you want to add your contribution to The What I See Project, you can do so here: http://whatiseeproject.com.